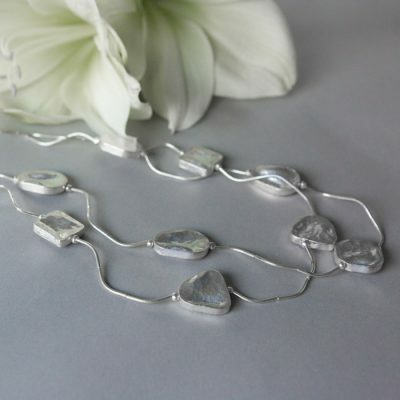 We have listened to our customers and are very happy to be able to now offer jewellery sets, giving you the flexibility to wear the pieces together or independently. We hope you enjoy! Our Handmade silver bracelets and bangles offer contemporary and on-trend designs, often with hints of their hill tribe origins. All designs are unique and are made by the craftsmen and women in the hill tribes of Northern Thailand. 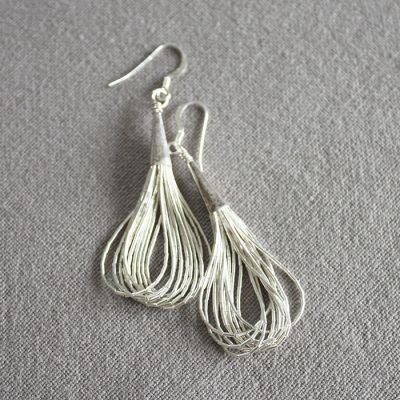 Most of the handmade silver bracelets and bangles are handcrafted using hand tools only, though a small number also employ hand-operated machinery for the more complex elements. 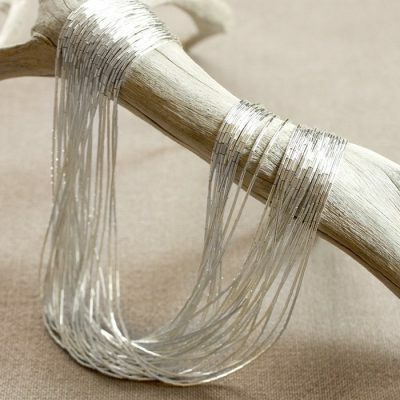 For the bangles the silversmiths use wooden measuring rings, which ensure that the shape and size are exact. 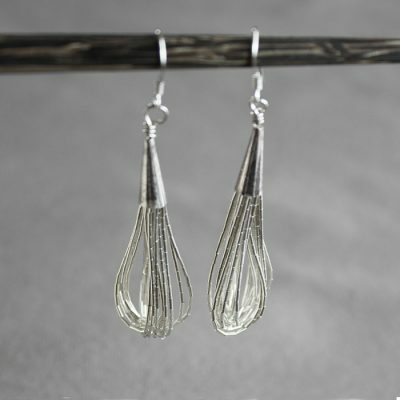 The silver is heated to make it more pliable, and then moulded using gripper-style pincers. 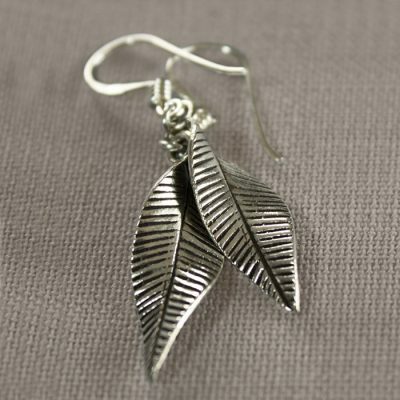 Once the silver has been washed, a single silversmith will usually complete a piece from start to finish. Although some of our handmade silver bracelets and bangles use a considerable amount of silver, they can be relatively quick to produce. 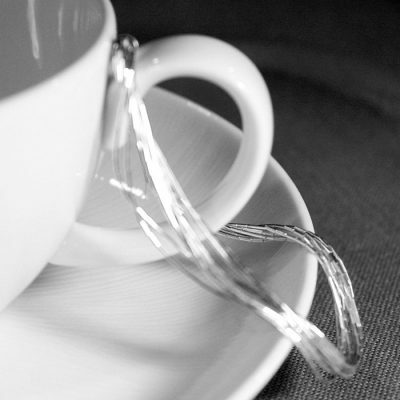 The most time-consuming are the threaded bracelets, intricate designs with a number of individual silver sections. Because our handmade silver bracelets are all bespoke, the processes by which they are made and the pace of production can be affected by Thailand’s varying seasons. This is particularly the case during the rainy season. 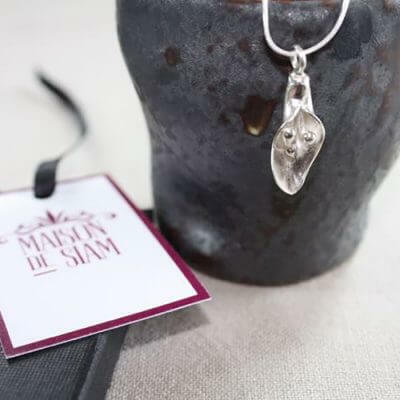 Production can be interrupted because work areas are flooded, but this is just part and parcel of the unique story behind the sterling silver bracelets offered by Maison de Siam. All of our handmade silver bracelets and bangles are made for Maison de Siam. This ensures that each piece achieves the high quality that we expect. We are proud to be able to help the craftsmen and women of Northern Thailand, and hope that you enjoy our products as much as we do, whether they are bought as a gift or to treat yourself.